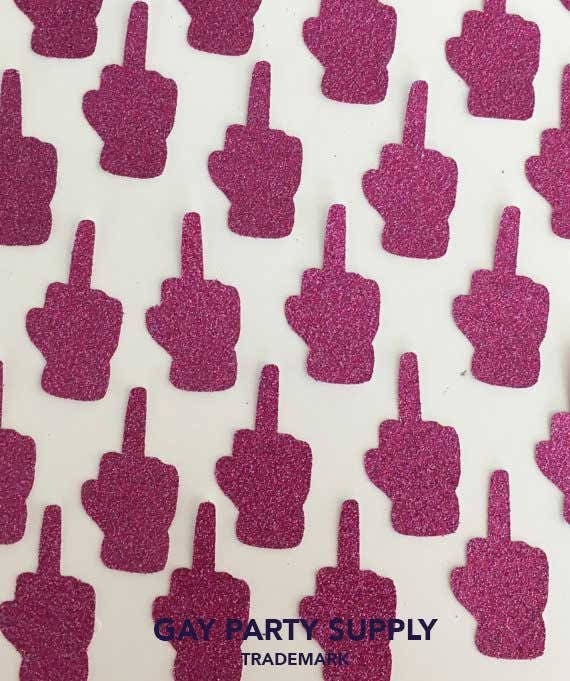 Let everyone know what you think with your middle finger banner! 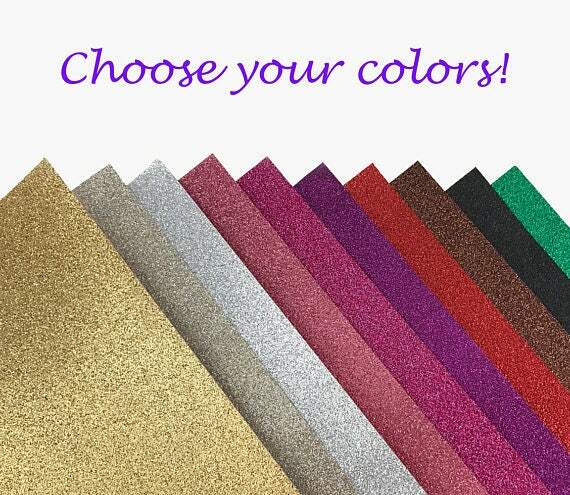 Pick your color from the pull down in glitter Gold, Champagne, Silver, Pink, Rose Gold, Hot Pink, Purple, Red, Brown, Black or Green. 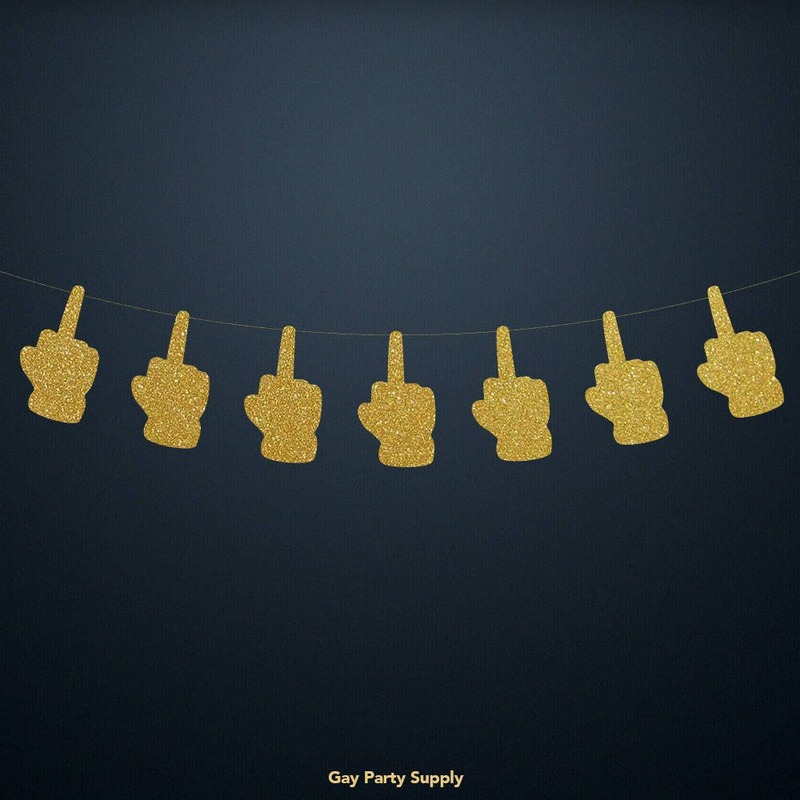 This is a single sided banner 3 inches in height and comes with 9 middle fingers. 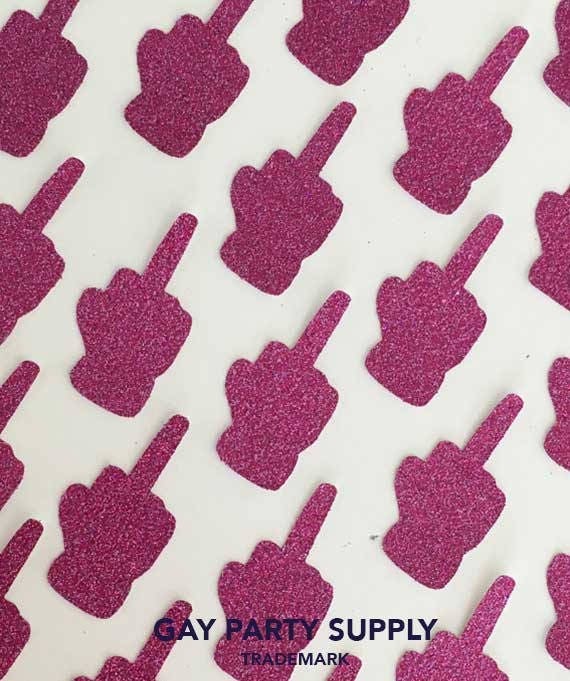 The fingers come ready to be hung on the string that is provided as part of this kit.